The man who has vowed to restore democracy after decades under Robert Mugabe’s dictatorship is now officially the Zimbabwean president. 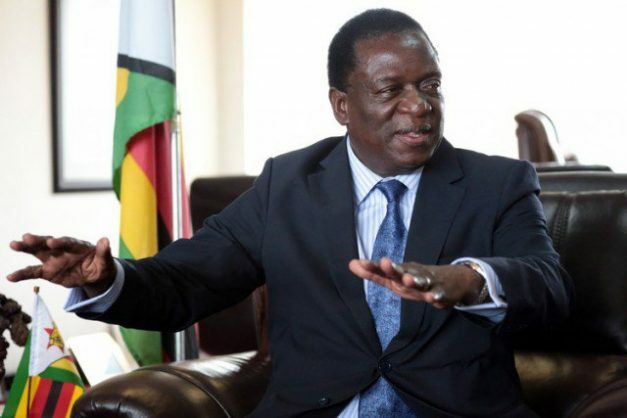 “I Emmerson Dambudzo Mnangagwa swear that as president of the republic of Zimbabwe, I will be faithful to Zimbabwe (and) will obey, uphold and defend the constitution of Zimbabwe,” Mnangagwa declared to thousands of supporters at a stadium in Harare. “I will protect and promote the rights of Zimbabweans so help me God,” he continued. South African president Cyril Ramaphosa was among thousands of Zimbabweans and foreign dignitaries in Harare at the swearing-in ceremony at the National Sports Stadium in Harare. “President Ramaphosa will be accompanied by Ms Lindiwe Sisulu, Minister of International Relations and Co-operation,” said Ramaphosa’s spokesperson Khusela Diko earlier on Sunday. Zimbabwe’s apex Constitutional Court on Friday upheld Mnangagwa’s victory in the tightly-contested July 30 presidential election and dismissed with costs an application by MDC-Alliance leader Nelson Chamisa challenging the results. The veteran politician and former vice president of Zimbabwe shrugged off a spirited challenge from the youthful Chamisa, garnering 50.67 of the total votes cast while Chamisa got 44.3 percent. The Zimbabwe constitution stipulates that once declared the winner by the court the president-elect must take the oath of office within 48 hours.